Discussion in 'Effects, Pedals, Strings & Things' started by wundergussy, Apr 22, 2016. Got an old swirly Boiling Point in the mail today. Stacked into my Timmy with just a touch of gain, this pair is just a very pleasing thing. I know this is so old news I might as well be arguing about cloning or asking how to nail a Black Crowes lead, but considering how cheap BP's can be had these days, it's worth keeping them in the conversation. Jet Age Eric, Frankee and scolfax like this. Good. I had just made a post about how fickle the mob is here. 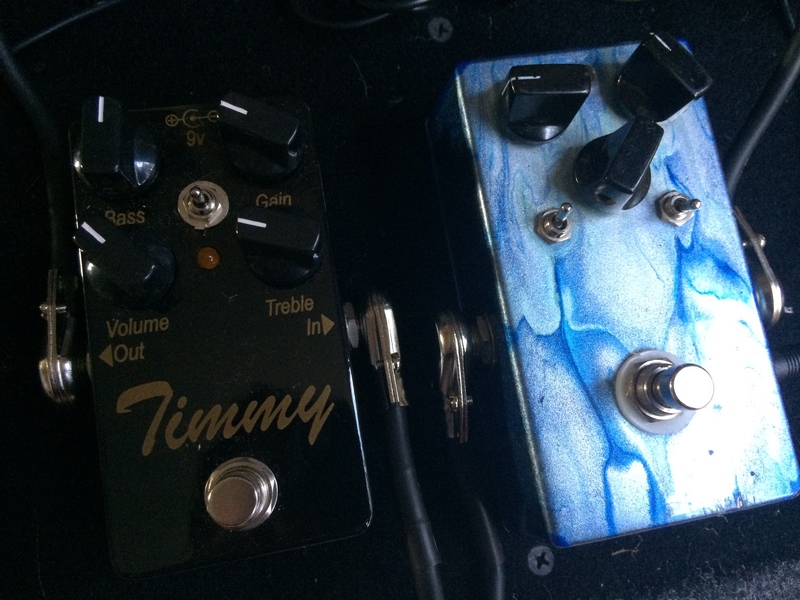 Where are all those swirlypaint pedals?